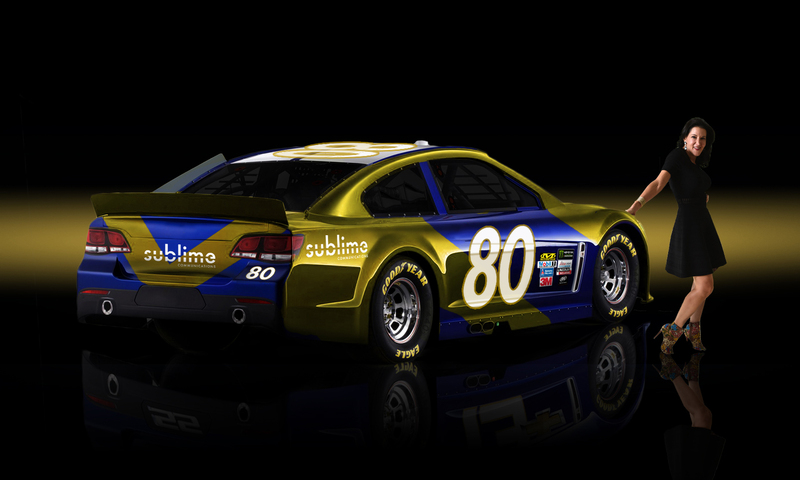 Stamford, CT – (February 8, 2018) – Sublime Communications, the global marketing and advertising agency, has signed as an official sponsor of NASCAR® driver #80, it was announced today by Nicole Enslein, CEO and Founder of Sublime Communications. The company’s commitment includes sponsorship for multiple NASCAR® races, including the season-opening, the 60th Annual Daytona 500®, held on February 18th. The creative team at Sublime Communications is currently putting the finishing touches on a signature, eye-popping Sublime blue and gold corporate color graphic design for the car. “The sponsorship is a way of telling the world we’ve arrived as an agency and allows us to be top of mind for companies and decision makers. Sports marketing can be a key ingredient of an integrated marketing program, which we implement for them,” Enslein said. About Sublime Communications: Sublime Communications is a full-service marketing and communications company with global reach. Headquartered in Stamford, CT, the agency capabilities span multiple media channel and the team’s experience covers industry categories including cybersecurity, consumer packaged goods, technology, finance, healthcare, automotive, retail, fashion, luxury goods, services, and more. Sublime Communications offers a full spectrum of services encompassing brand strategy and positioning, creative development and production, media planning and buying, digital marketing, website design architecture, data analytics and reporting, lead generation programs, media relations and influencer marketing. With long standing partnerships worldwide, we help clients differentiate. For more information about Sublime Communications, please visit www.sublimecommunications.com and interact with the company on Facebook, Twitter, Instagram and LinkedIn.